Easy pressure cooker recipes are the best way to get started using your pressure cooker! This comprehensive resource will get you started in no time! This page may contain affiliate links for your convenience. You can read my full disclosure policy here. Did you recently buy a pressure cooker or receive one as a gift? LUCKY YOU!! Or maybe you are considering purchasing a pressure cooker and you are researching and getting your feet wet. Pressure cookers are an amazing way to prepare food quickly and easily. The new electric pressure cookers are extremely versatile and so much safer than the older versions you may remember from your childhood. I have grown to love mine more than I expected. You’ve come to the right place for a comprehensive resource that will have you making easy pressure cooker recipes in no time! Think of this as a one-stop-shop for all of your pressure cooking related questions. If you need some help deciding which pressure cooker to purchase, I’ve compiled some helpful pressure cooker reviews here. Reading about pros and cons, features, and price points can help you figure out which model is the best choice for you. I personally use an Instant Pot IP DUO60, which I love, but there are several models available. Once you have a pressure cooker, it’s actually really easy to get started making easy pressure cooker recipes with it! Barbara at Pressure Cooking Today has a great tutorial that walks you through the basic steps of performing a water test to become acquainted with your cooker, as well as information about a quick pressure release or a natural pressure release. Once you’ve done those steps, you’ll feel more confident and ready to actually make food in your pressure cooker! Next, alleviate your fears about electric pressure cooker safety and read about why you don’t need to be afraid of pressure cooking here. There are so many options of foods to make in your pressure cooker, many of which may surprise you! When you are just getting started, it’s best to begin with recipes that are specifically for the pressure cooker. That eliminates a lot of the guesswork for you and provides you with exact steps so you can enjoy success with your newfound kitchen gadget! There are several popular pressure cooker recipe books available that you can add to your cookbook collection. One of my more recent favorites is The Electric Pressure Cooker Cookbook. Additionally, Pressure Cooker Perfection and The Great Big Pressure Cooker Book are two that I have personally found useful. They are great resources and the recipes that I’ve made from the books have turned out beautifully. I’ve also posted some of my favorite easy Instant Pot recipes for you to enjoy! 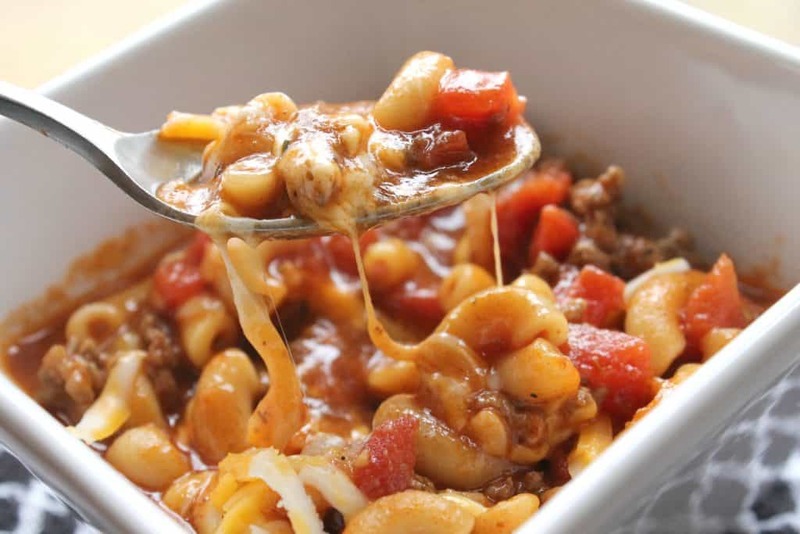 Click here or on the image below to view a list of wonderfully easy pressure cooker recipes that you will want to make over and over again! I also have a Pinterest board of pressure cooker recipes that you’ll definitely want to check out and follow! 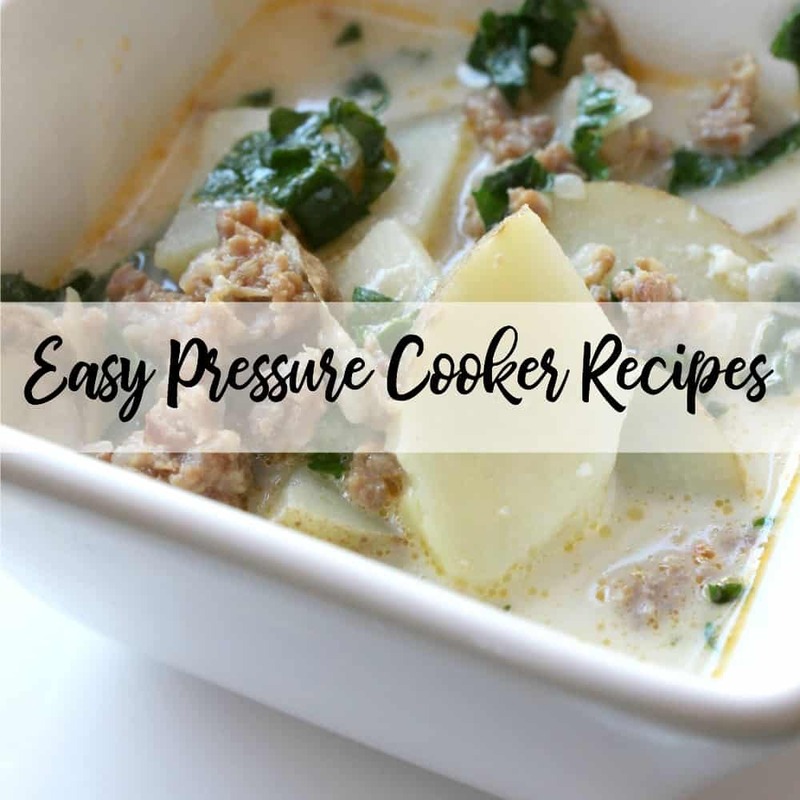 A couple of additional sources of easy pressure cooker recipes are Pressure Cooking Today and Hip Pressure Cooking, both of which have been very helpful resources for me as I started pressure cooking. You can also get my one-week meal plan of pressure cooker meals by signing up below. determining cook times. If you need help with figuring out cook times for various food items, this chart is by far the most comprehensive one I have found. I love it because it breaks everything down by category (grains, beans, vegetables, meats, etc.). Meats are broken down by thickness in one chart and by cut in another, which is helpful. It also tells you how much time to add to the cook time if your meat is frozen. Cook times are provided for both stove top and electric cookers, and it also tells you whether to use a natural or quick pressure release. How useful! Once you have had some success with recipes specifically for the pressure cooker, then you can experiment with recipe conversion. I have great news for you! Most slow cooker recipes can be tweaked a little to be made in the pressure cooker, but in a fraction of the time. Yes, really! You have to make a few minor adjustments to convert a slow cooker recipe to a pressure cooker recipe, but it’s so easy to do. I even created a FREE printable cheat sheet that you can slide into your recipe binder for those times when you need to glance at a reminder of how to convert the recipes. 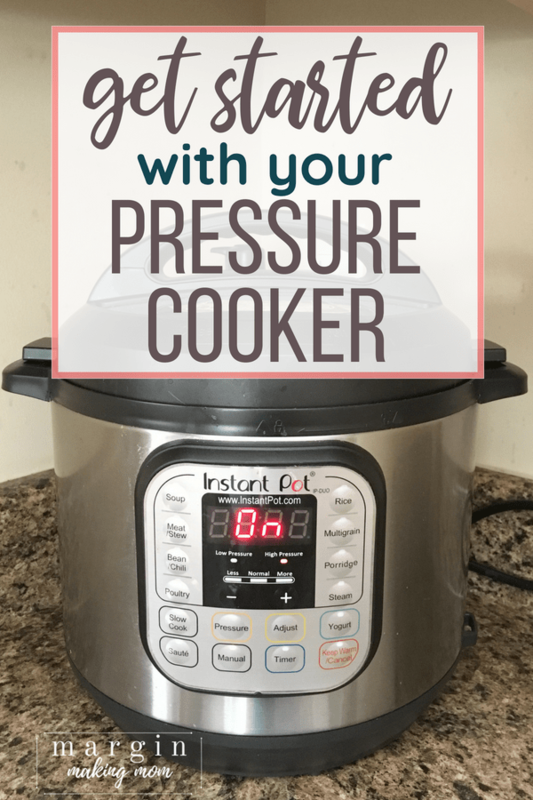 Sign up below to get your FREE printable as part of a guide to getting started with pressure cooking. In order to get the most out of your pressure cooker, there are some additional useful pressure cooker accessories that can expand upon your cooker’s abilities. For instance, did you know you can make cheesecake in the pressure cooker? Yes, you really can! But you need a pan that will fit into the cooker. Check out this list of 6 useful pressure cooker accessories as well as my list of the best affordable gift ideas for the Instant Pot lover to see what else you might want to add to your collection! I also have a list of the best pot-in-pot accessories for the Instant Pot, which will allow you to cook different types of things or multiple foods at a time! An electric pressure cooker is great for making easy recipes quickly, but today’s cookers do much more than that! For instance, my Instant Pot Duo60 has several additional capabilities that really make it an extremely versatile appliance. 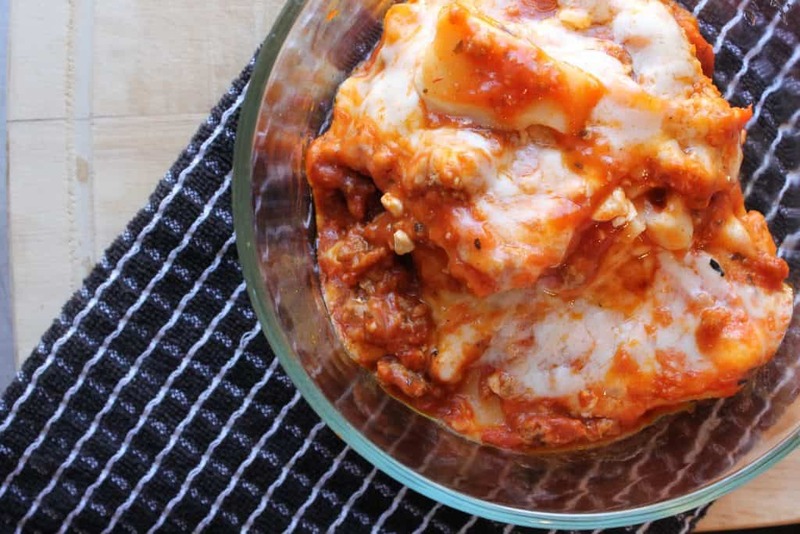 Did you know it’s possible to reheat leftovers in the pressure cooker? I learned this when our microwave broke and I didn’t want to replace it. I sought out ways to use my Instant Pot for things I previously used my microwave for. It was way easier than I thought it would be, and now I don’t miss my microwave at all! You can learn the simple process here! Yogurt making is another awesome function offered by the Instant Pot. I’ve been making my own yogurt for years, but I’ve only recently started using my pressure cooker as the incubator for culturing the yogurt. 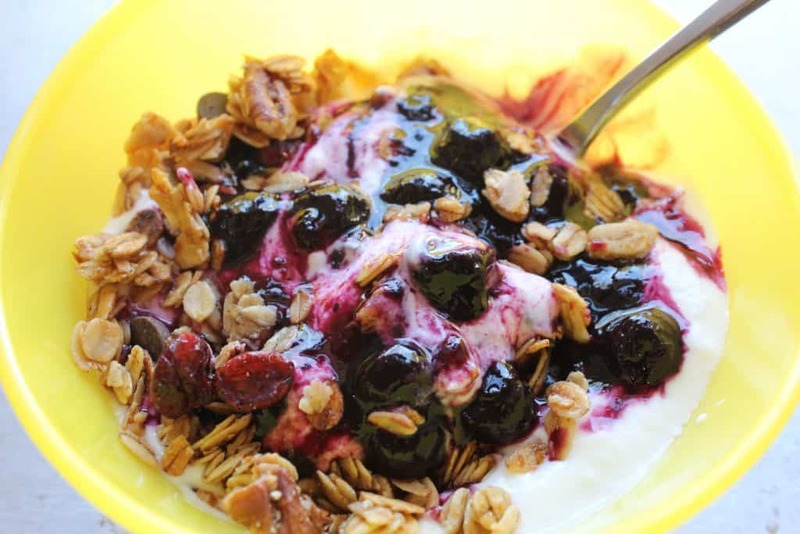 Making homemade yogurt may seem intimidating, but it’s actually a really simple process! You can read about my tried and true method here. I mentioned earlier that you can convert most slow cooker recipes to a pressure cooker recipe. But, if you are unable to convert a recipe or if you simply prefer that your food cooks low and slow, the Instant Pot has a Slow Cook function. Yes, you can use the Instant Pot to rise your bread dough! Find out how I do it to make homemade dinner rolls with the Instant Pot! Just like any cooking method, the more you practice, the more comfortable you will get with it. The good news is, pressure cooking is not anything new. As it becomes more mainstream with the growing popularity of electric pressure cookers, it is easier than ever to safely use a pressure cooker. Get my Free Beginner’s Guide by signing up below!